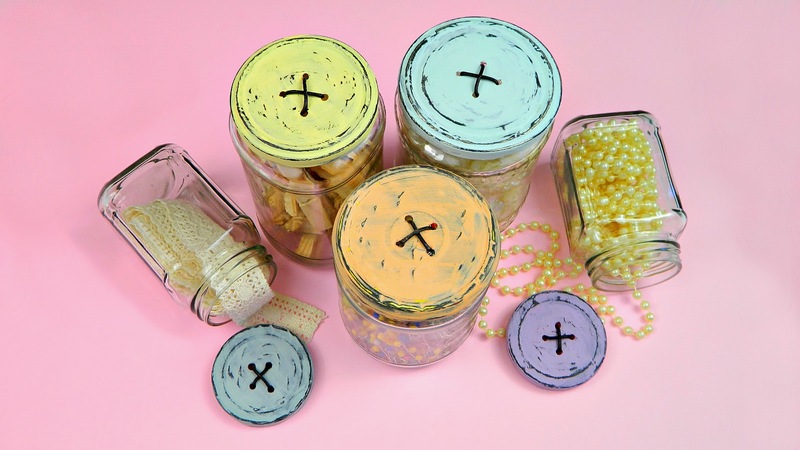 I love a good recycled jar project and this one is cuter than a kitten riding a puppy. 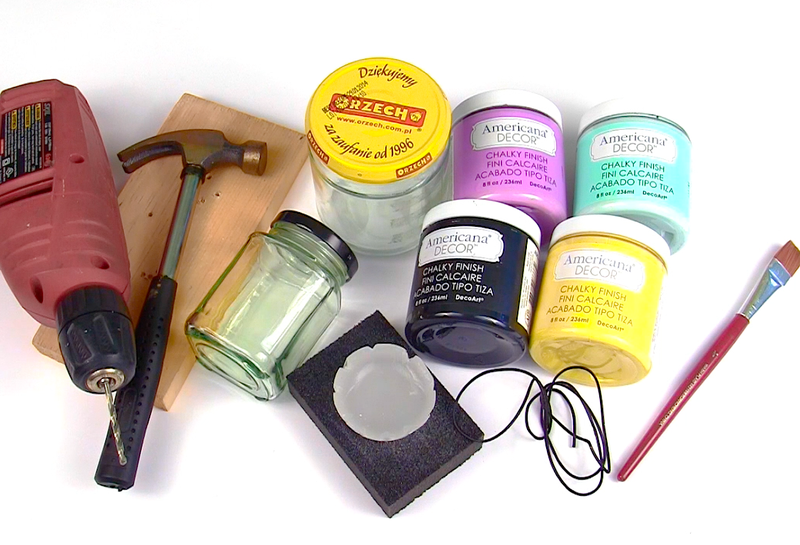 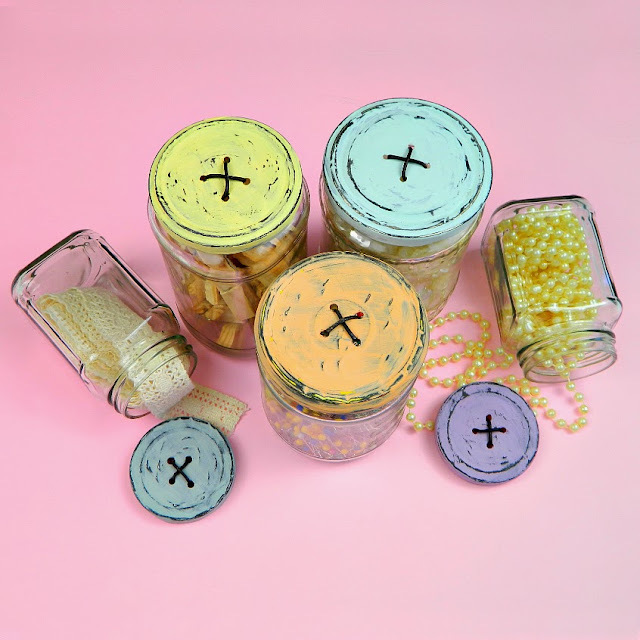 With just a little chalky finish paint and some black cord, you can have an entire set of button jars to organize everything from your sewing accessories to your beading supplies! 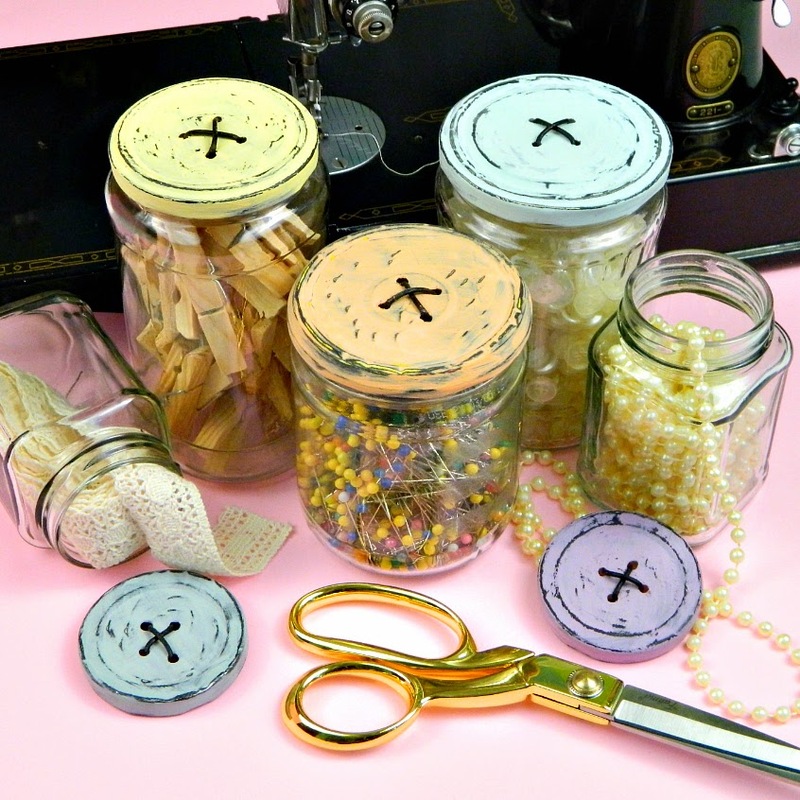 Why not make an extra set to give as a gift this holiday season.